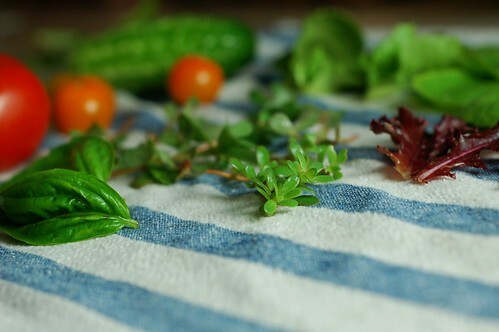 I had one hell of a garden salad for lunch the other day and putting it together was almost as much fun as eating it. 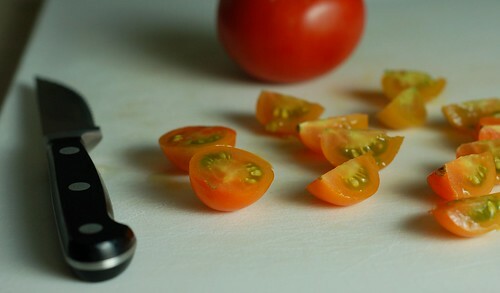 The succulent, lemony purslane, the clean, crunchy freshness of the cucumber, little juicy bites of concentrated sweetness from the sungold tomatoes, the rich, creamy chevre, the crisp lettuce and over it all a simple vinaigrette made with olive oil and a simply amazing maple balsamic vinegar. It's a little embarrassing but I have to admit that I'm salivating just writing this. 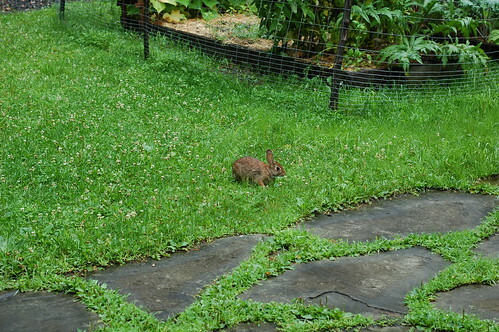 I walked outside with my basket, opened the sagging gate that has miraculously managed to deter the hordes of voracious, wickedly cute bunnies that live in our yard, picked a few leaves of new lettuce, yanked a cucumber off its vine, coaxed a handful of Sungold tomatoes into my palm, and plucked a few basil leaves. 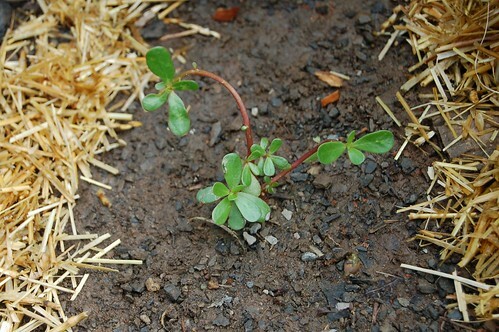 Then I looked between the rows for some purslane - a delicious, incredibly nutritious weed with succulent green leaves, reddish stems and a mild, pleasantly lemony flavor. You can read more about here in case you missed my last installment of Eat Your Weeds. I brought it all inside, rinsed it off and laid it out on a kitchen towel to dry a bit. I paused to admire its beauty for a moment, then I took this photo so you could admire it, too. 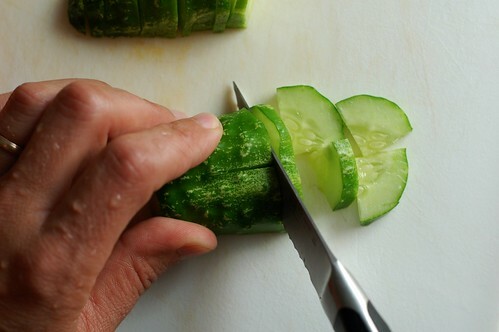 Then I ripped up the lettuce and basil, cut up the tomatoes and sliced the cucumbers. The cucumber was so crunchy I practically needed earplugs while I was chewing. I was thankful to have gotten to a few ripe tomatoes before the gangs of chipmunks who roam our yard had a chance. Most of the time, I'm too late and end up having to harvest these sadly mauled 'maters and cutting out the parts where they've been so cruelly bitten. Chipmunks are incredibly cute but I have the most intensely homicidal urges whenever I see one now. 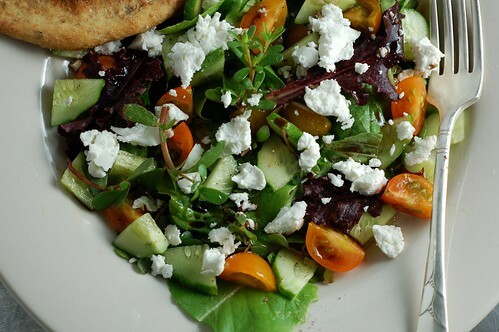 I arranged the lettuce, basil, tomatoes, cucumbers and purslane then dropped some chunks of a soft, mild goat cheese on top of it all, sprinkled it with sea salt and did a few energetic grinds with the pepper mill. 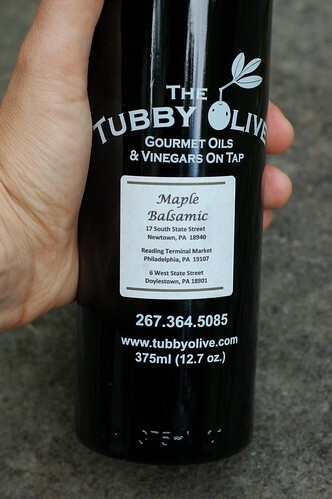 Then I drizzled it with organic olive oil and some of this amazing maple balsamic vinegar from The Tubby Olive that my mom-in-law gave us recently. It is so rich, so perfectly balanced, so flavorful that I kind of just want to guzzle it straight from the bottle. I added a crunchy, savory rosemary and thyme olive oil torta (do you know about these tortas already? they are so good) to the plate, admired it some more and took a few more pictures. Then I sat down and devoured it all in a most unlady-like manner - lady-like has never really been my strong suit. I ended by picking the plate up and giving it the thorough licking it deserved. I am already looking forward to round two and hoping against hope that I can get to a few semi-ripe tomatoes before Alvin and the f-ing chipmunks do. The dressing was so simple that I don't really think I can provide a recipe - just olive oil and vinegar (more or less equal parts) topped with a little sea salt and black pepper - taste it and adjust your ratios until you're happy. 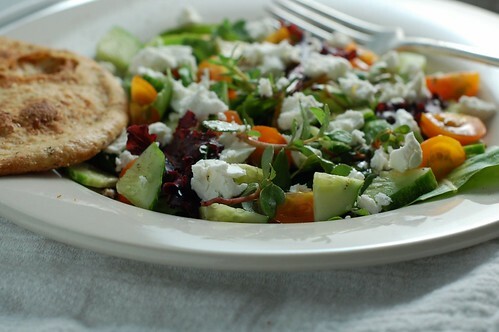 Chopped Summer Salad - Healthy, Fresh & Deeeeelicious!